Guests at Secrets Resorts & Spas won’t miss out on the big game on February 3rd! Our annual Super Bowl parties attract guests from around the globe year after year! A thirty foot movie theatre screen with lounge chair seating will be set up on the beach for a day full of food from a super deluxe tailgate buffet, football pools with fabulous prizes, buckets of ice cold beer, cheerleaders and more! Be sure to bring your team jersey to celebrate the biggest sports game of the year! Check out these cool pictures from last year’s celebrations! Who are you cheering for to win in 2013? 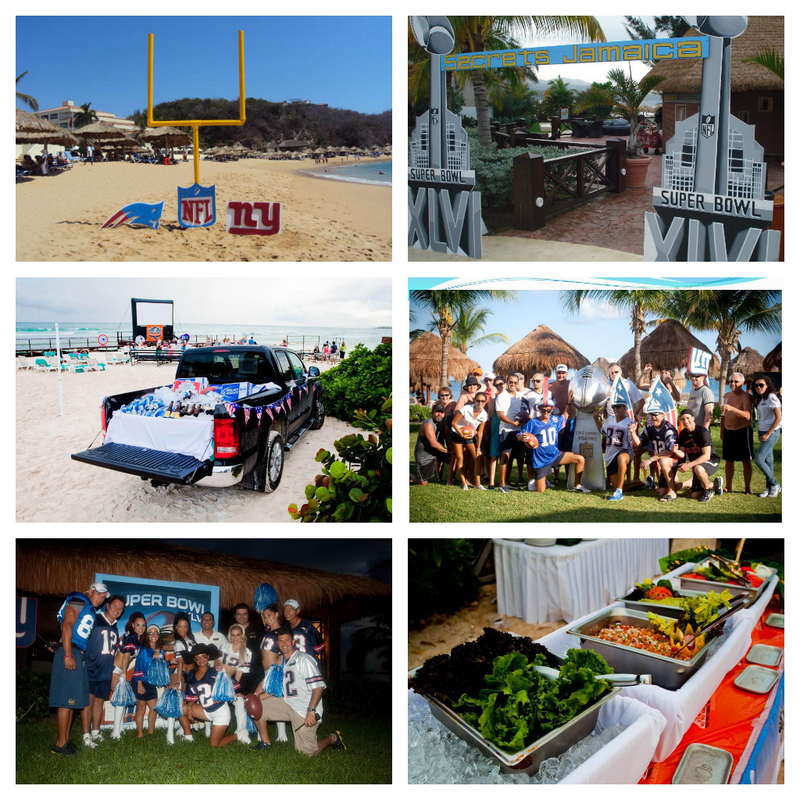 This entry was posted in Secrets Resorts & Spas and tagged Football, Parties, Secrets Resorts & Spas, Super Bowl. Bookmark the permalink. Great resort! I had never visited this type of resort but after reading your post I am very exited to visit this resort. Thanks for sharing such a nice information with us.